Library Services seeks to provide a safe and comfortable environment for all patrons. We expect patrons to behave in a civil, considerate, and courteous manner, to respect the rights of other patrons and staff members, and to use the library for its intended purposes. We understand that many students work on group assignments that require speaking with one another; whereas, other students need a quieter environment. Where facilities permit, quiet areas have been designated. Library Services staff will warn or ask disruptive or abusive patrons to leave the library as appropriate. If necessary, Library Services staff will call campus security or the local police for assistance. Library Services holds the parents or legal guardians of a minor responsible for the actions of the minor. Children under the age of 18 (other than students enrolled in STC classes) may not be left unattended in the library. Parents or guardians of disruptive minors will be asked to take action to stop the disruption. This may include removing the minor from the library. All computer users must adhere to the college’s Guidelines for the Acceptable Use of Information Resources. These guidelines prohibit unlawful or unacceptable activity, such as the distribution of obscene material. It is important that you read and understand these guidelines before using STC computers. It is also important to read our lab Computer Use Guidelines. An individual must be at least 18 years of age. An individual must present a state, provincial, federal, or government picture ID. A passport, resident alien card, driver’s license, provincial drivers license (Canada), and voter’s card (Mexico), are all valid forms of ID. Any individuals with primary residency outside of Hidalgo and Starr counties must also present another document which displays their current local address. This document could be a bill, auto insurance card, health insurance card, or other document. All general circulation procedures and library rules which apply to students also apply to community users. If a student urgently needs an item that is checked out to a community user, the item may be recalled earlier than the original due date. The community user will be given two days to return that item. Fines will be incurred following this date. Community users are subject to the same computer use regulations as students and employees. For more information, see the Computer Use section above. Computer usage priority is given to students for academic purposes. If a lab becomes full and students are waiting to use a computer, community users and other individuals who are not using the computers for academic purposes will be asked to relinquish their computer. Some services, such as Interlibrary Loan, circulation of reserve items, and online tutoring, are not available for community users. 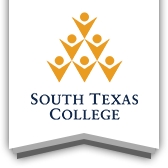 South Texas College Library Services protects the confidentiality of every individual’s personal information, circulation records, and use of library materials and resources. Such records shall not be made available to anyone other than that person, except under court order or other form of due process which has been reviewed and approved by the College’s attorney.